Make the most of your USB-C device with this essential accessory. USB-C is the next generation of connector for delivering power, video and data to devices ranging from laptops, phones and tablets through to wearables. 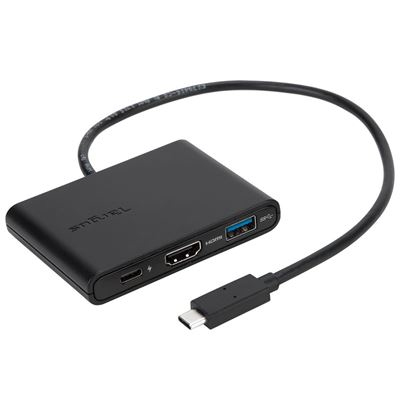 Modern devices feature fewer ports so extend the connectivity of your USB-C device with this powerful adaptor. Convert a single USB-C port on your device into a power source up to 60W over USB-C, a connector for data and peripherals over USB-A and enjoy up to 4K resolution over HDMI.